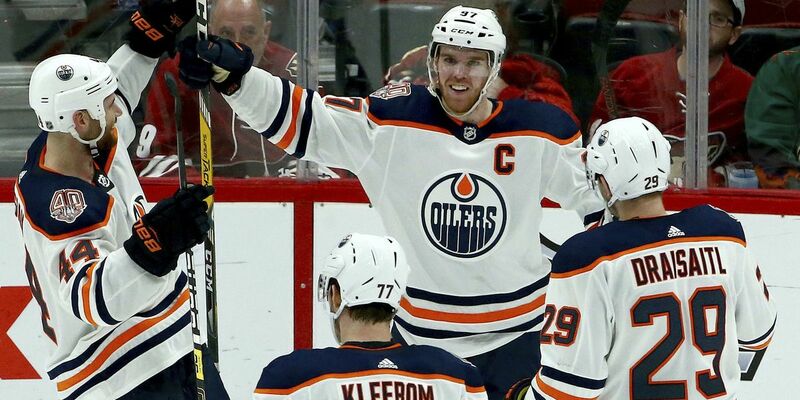 GLENDALE, Ariz. (AP) — Connor McDavid scored two goals, including the winner in overtime, to lead the Edmonton Oilers to a 3-2 victory over the Arizona Coyotes on Saturday night. McDavid beat Darcy Kuemper from out front 58 seconds into the extra period for the Oilers, who are 8-3-1 in their last 12 games while making a late playoff push. It was the third overtime goal of the season for McDavid, who also had an assist earlier in the game. McDavid has 36 goals this season and is on an 11-game point streak. He has a point in 19 of his last 20 games and has seven straight multipoint games, with three goals and 13 assists during that stretch. McDavid is second in the league with 103 points.